Have you ever experienced when you got literally cranky due to anger? Have you ever wanted to throw things or bang the door when you are angry? Do you shout or hurt yourself when anger outrages you? Well, these are some of the common signs of anger that we all face in our day-to-day lives. Each and every creature has an angry side that manifests when it is provoked. However, there is something that makes you different from the outraged animals. That is, logical reasoning power. As the above quote by Aristotle says – Anyone can become angry…yes folks! Anger is a basic emotion. So it is quite obvious for anyone to become angry for some reason or the other. However, anger is not always good for health and situations. I always say that “Anger and Danger go hand in hand”. Anger will reap beneficial results only when it is logically used within safe limits. Otherwise it spreads like a wild fire destroying anything and everything that comes in its way. Do you know what causes anger or aggression within you? There are numerous theories given by psychologists, biologists, philosophers, etc on why we get angry. According to psychologists, anger is a basic emotion that is provoked due to your faulty coping skills, as defense mechanisms during anxiety or stress, in sensitive and anxiety-provoking situations and so on. Biologists say that anger is caused due to adrenaline hormone surge. Research has also shown that anger is also typical to a race, climatic condition and mind-set. In a nutshell, anger has many raison d’être to get provoked and expressed. Do you get easily angry on anyone or anything that triggered or caused your anger? Do you tend to shroud your feelings of anger with sarcasm or silence and do not want to confront the anger-causing agent? Rather than expressing your anger in a behavioural way, do you shout out loud or despise people or situations that make you angry? Do you get angry for constructive purposes in order to bring a positive change in something? Do you tend to punish yourself when you get angry? As in self-hurt? Is your anger like a bubble? Does it come out of the blue, gets expressed and then you become calm again? Is it so quick that sometimes it’s hard to notice? Are you just angry 24/7….at anything and everything? Is your anger directed towards making people feel low about them? Do you get angry when you can’t handle the stress, pressure, tensions around you? 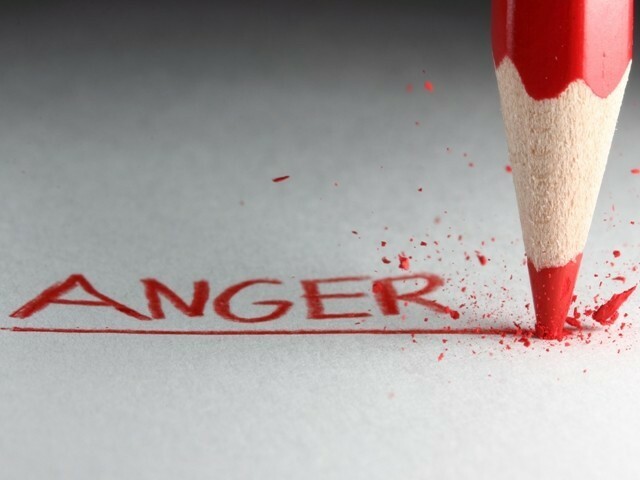 Is your anger a spontaneous reaction to the anger-causing event/person? Are you angry out of jealousy and hatred? Do you get deliberately angry to gain power over someone or some situation? Hey friends, you just read about different kinds of anger. Yes, the word may be of only 5 alphabets, but it is of 12 different kinds! Now let me tell you the answers to your responses. The answers are in accordance to the numbers : 1) Behavioural anger 2) Passive anger 3) Verbal anger 4) Constructive anger 5) Self-inflicted 6) Volatile anger 7) Chronic anger 8) Judgmental anger 9) Overwhelmed anger 10) Retaliatory anger 11) Paranoid anger ; and 12) Deliberate anger.